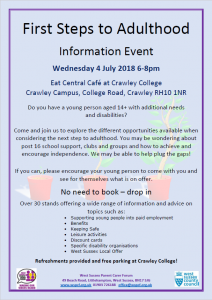 Do you have a young person aged 14+ with additional needs and disabilities? Come and join us to explore the different opportunities available when considering the next step to adulthood. You may be wondering about post 16 school support, clubs and groups and how to achieve and encourage independence. We may be able to help plug the gaps! If you can, please encourage your young person to come with you and see for themselves what is on offer. Any expansion in aviation is a bad day for the planet as aviation is the most damaging for climate change and we do not wish misery of more aircraft noise on anyone. 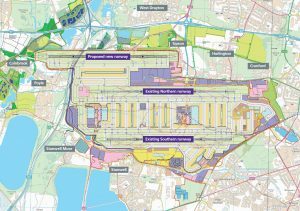 If Heathrow does not go ahead it does not mean Gatwick will automatically be chosen as Stansted, and other regional airport all want to expand to have a slice of the profit cake. It would also mean that the millions spent on the Airport Commission reported was all a waste of time. People really do want some sort of decision so that they can get on with their lives that they hoped the announcement by the Airports Commission gave them, but here we are still debating the facts. Gatwick’s Achilles heel has always, and will always,be the lack of rail and road connections with the M23 going to one lane into Croydon, and the railway not being able to expand any further than it is today, even with the changes being made at the Windmill Junction at Croydon. If Gatwick was full it would be full all year round but it is not as the winter months are quiet. Heathrow is also offering a night ban whereas Gatwick has never and their airline fleet mix demands 24/7 flying to Europe holiday destinations. 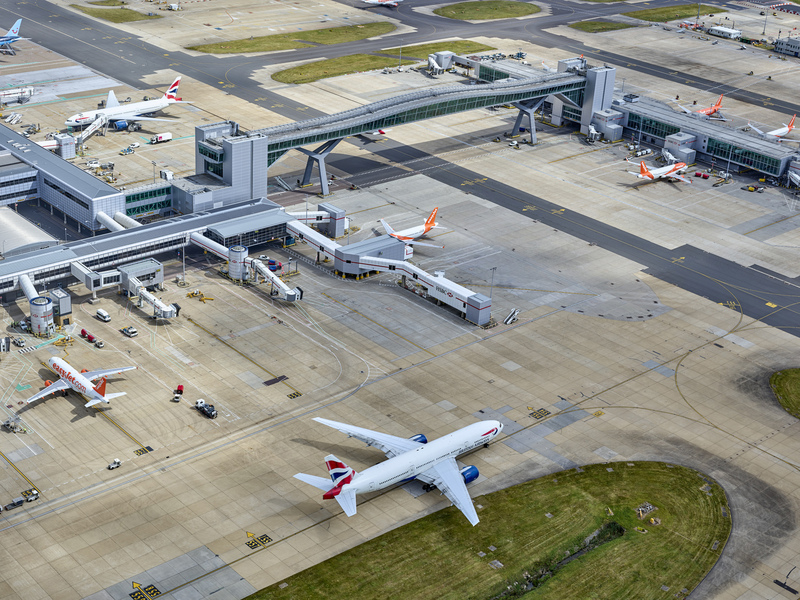 A few local firms have not supported Gatwick seeing expansion as all their Christmas’in one, but big business has strongly supported Heathrow as it brings money into the UK and is accessible for freight transfer from the rest of the country. Gatwick is a major exports UK sunseekers overseas offering them a shopping mall with a runway and so not necessarily benefiting local high streets or firms, in fact clogging the roads and reducing air quality locally due to the traffic it brings to our potholed roads. 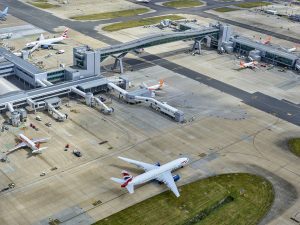 Gatwick should now focus now on dealing with the noise issues it has to the east and west of the airport as communities are blighted by noise day and night with many expected to tolerate multiple routes with no respite. As we approach the busy summer season we have lots of news highlights to share. Each highlight has a link to the relevant press release for more information. Our partnership with the Brighton Marathon gave Gatwick a high profile at this fast growing regional event, which attracted 12,000 athletes; 180,000 spectators; and 3,000 children who were able to participate in the mini mile free of charge due to Gatwick’s support. Our involvement aligns with our strategic themes of health & wellbeing; and Gatwick as a family friendly airport; with features including an airport branded family lane for race pack pick-ups and a Gatwick arrivals zone on the beach for runners to meet their supporters. Gatwick partnered with the West Kent Partnership for the Grow Kent Business Conference in Tunbridge Wells. We took the opportunity as sponsors to share examples of how Gatwick supports a thriving local economy. The next Noise Management Board is being held on 27th June where the next steps in planning for the Reduced Night Noise Trial will be agreed, along with updates on Departures work and further planning for the NMB 2019 workplan. The second of the NMB’s topic specific workshops for 2018 was held on 23rd May, which focussed on Departures. NMB blog will be updated in June with any key messages emerging from the workshop discussions. We have met with the CAA to discuss our options and next steps around our Route 4 Standard Instrument Departure (SID) routes. In accordance with the recent Consent Order we are reverting the Route 4 conventional SIDs to their previous position but this will not in itself result in any changes to the tracks flown by air traffic. An Airspace Change Proposal for the Route 4 RNAV (satellite navigation based) SIDs will commence in the coming months. 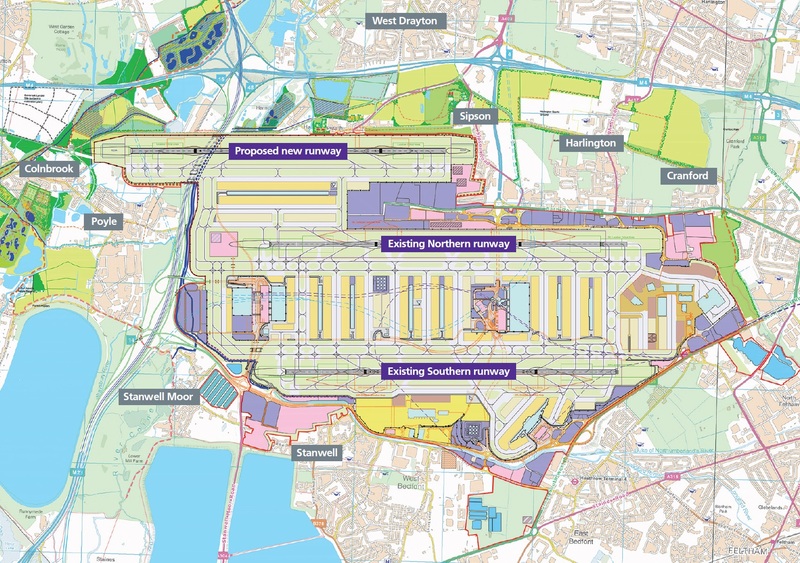 Andy Sinclair, our Head of Airspace Strategy, provides an update on the planned next steps in his latest Airspace blog. What does it mean to you to have the same democratic rights as everyone else? The Eastern Gateway scheme includes improvements to public space and connectivity to support key development opportunities at the Town Hall, County Buildings, Telford Place and Crawley College and includes the public areas in the eastern half of The Boulevard, Exchange Road, the southern end of Northgate Avenue, College Road including the roundabout, and Southgate Avenue, up to and including the junction with Station Way. The Station Gateway Scheme extends from Friary Way, along Station Way, connecting with Southgate Avenue. Its aims include improving the connectivity between an improved and re-developed rail station, the bus station and improved town centre facilities, incorporating a dedicated left-turn for buses from Friary Way to Station Way and improvement in bus waiting facilities. The Crawley Growth Programme is being delivered by a major partnership of public and private organisations, including the Coast to Capital Local Enterprise Partnership, West Sussex County Council, Crawley Borough Council, Metrobus, Gatwick Airport Limited, Manor Royal Business Improvement District (BID) Company. The Gateways projects are also being delivered in partnership with the Arora group and Network Rail. Louise Goldsmith, Leader of West Sussex County Council, said: “We have identified that the county needs significant investment in new infrastructure to help stimulate economic growth and Crawley is a key growth location. 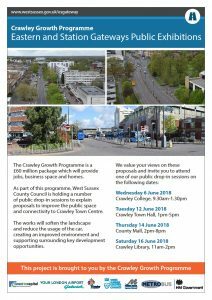 Crawley Borough Council Cabinet Member for Planning and Economic Development, Councillor Peter Smith, said: “I am delighted that proposals for the regeneration of the Eastern Gateway and Station Gateway have been released. NHS Crawley CCG and NHS Horsham and Mid Sussex CCG work in partnership with local health and care organisations to improve care for our population. 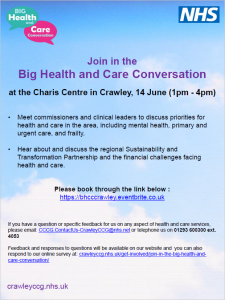 The Big Health and Care Conversation event is led by the CCGs working alongside the local NHS organisations, Healthwatch, patients, carers and the local community and voluntary sector. 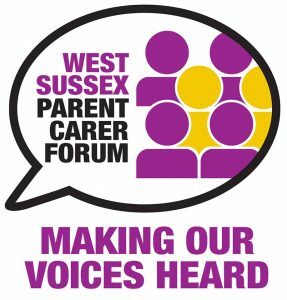 You’re invited to our first Big Health and Care Conversation events this summer. This gives you the chance to meet our commissioners and clinical leaders to discuss priorities for health and care in the area, including an opportunity to hear about and discuss the regional Sustainability and Transformation Partnership (STP) and the unprecedented financial challenges facing our local health and care services. We look forward to you joining us at this event if you can. If you can’t join us on this occasion there will be future opportunities to engage with us about developing health and social care for your area. The information contained in this e-mail is solely for the intended recipients or their delegated colleague. It may be subject to public disclosure under the NHS Code of Openness or the Freedom of Information Act (2000) unless it is legally exempt from disclosure. If you received this e-mail in error, please notify the sender and remove all copies of the message, including any attachments. 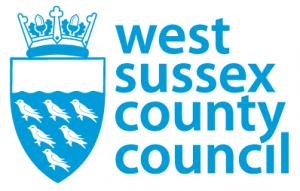 Any views or opinions expressed in this e-mail (unless otherwise stated) may not represent those of the Central Sussex Commissioning Alliance.